Now that you have a book to promote, are you ready for an “author’s row”? Writing conferences often feature multiple “meet the author” book signing events that are open to the public. And libraries and schools sometimes schedule book festivals that might promote several local authors at once. 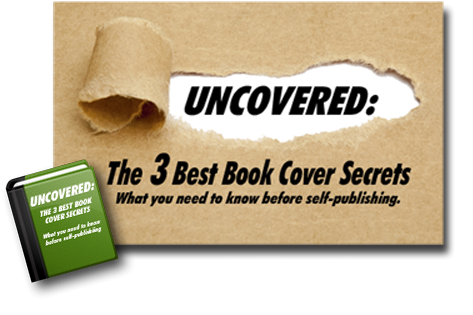 So how do you stand out in a crowded room full of authors who are all there to sell books? Create a unified look to send a strong message. Every item on your table should support your author brand. Readers tend to have favorite genres and styles; capture the attention of your target audience by clearly announcing the genre and style of your writing. Choose posters, banners, colors, and promo items that convey your voice. Create a poster of your book cover art. Whether it’s on an easel on your table or pasted to the wall next to you, a poster is a simple, eye-catching way to let everyone know what you’re selling. You can create poster prints at websites like Vista Print. Stand in front of your table, not behind it. While other authors are seated (not at a good level for eye contact) and behind their tables (with a perceived barrier separating them from readers), consider leaving your seat to be more approachable and interact with passersby. If you’re not allowed to leave your table, perhaps you can perch casually on it. At the very least, try to stand up so you can easily meet your visitors face-to-face. Invite passersby to enter a contest to win something cool. If you’re advertising a contest with a big poster that says “win this” (a copy of your book, an e-reader, a gift card, etc. ), people may stop to take a look at you and your books. Ask visitors to enter your contest by filling out a small card with their name and email—and be sure to let them know that all entrants will be added to your author mailing list. Then, at the end of the day, pull a random card to choose your winner. Hand out freebies. Believe it or not, visitors want to walk up to your table to check out your book. But you’ve got to make it really easy for them to do so. Hand out free bookmarks featuring your cover art or give away other inexpensive SWAG items. If you extend the item toward someone, most people will reach out and take it (not accepting it would be like turning down a handshake, something most of us find hard to do). Then, you can strike up a friendly, non-salesy conversation. Get flashy. There’s a reason stores use neon flashing lights and car dealerships use wacky, arm-waving windsocks; people notice them. You don’t need something big and obnoxious at your table to call attention to your books—but a lighted or moving object will get people to look your way. You might also consider wearing something distinctive—a bright scarf or a colorful flower on your lapel. Have your friends work the room. If you can’t leave your assigned book sales table, bring an outgoing friend who can mingle with the crowd and talk to people for you. Have your friend hand out something that will entice people to come visit your table, like a freebie or a form to enter your contest. Get creative. Steampunk writers dress in aviator goggles and top hats. Romance novelists hire models to dress up as story characters and pose for free photos with fans. Historical writers dress in costumes of the period. Does your book have an angle that will allow you to do some creative marketing that embraces the spirit of your genre? While being noticeable and approachable is important when you’re participating in a mass author signing at a book fair, being pushy and aggressive can backfire. So no matter which of our tips you decide to try, remember: Before you make a sale, you have to make a friend! QUESTION: Have you participated in a mass book signing event? Leave your tips in our comments section!